Are you looking to help a mother treat her ailing daughter? Heal yourself and cure poison on the go without a priest? Maybe you are empowering a Hwarone Lute? Or perhaps you are just tired of hunting and have decided "Man, I sure could use some relaxing time to work on my green thumb!". Sounds like Herbalism is just what you need! Whatever your reasons, you've come to the right place. In this guide I will run you through the basics of Herbalism. Herblism is practised by monks, wizards, and priests. To get started, you will need to learn the skill "Herbal Lore" from the Suomi Priestess. For each class the requirements to learn are unique. If you are ready to begin and you meet the criteria for your class it's time for you to learn the skill. Head on over to the Suomi Priestess, located at 17, 86 in the south-west side of the village. 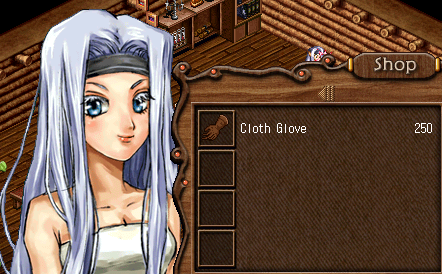 While you are here make sure you buy a cloth glove from her, as you will need it to create any potions. Please note that you only need one, so if you are a young Aisling without much gold in your purse you can rest easy with this small purchase. There are two main ingredients which are required for Herbalism, Wine and Raw Wax. Wine will be the base ingredient for your potions. You can carry 15 at a time, and it can be purchased from Frida in Abel Tavern, the Rucesion Black Market shop, or aquired by higgling as a rogue at a bank. Betony deum or Vanilla Potion will cast Beag Naomh Aite on the consumer of the potion. It also tastes great in your coffee. Fifleaf deum will restore 400 health. Tastes like spinach. Hemloch deum or Green Potion is a potion which drains you of all your health, leaving you at 1 hp, weak and near death. Many Aislings use these toxic potions while ascending. However, as these potions can be purchased from the vendors in Medenia, there are few Aislings who make their own. Hydele deum or Brown Potion will completely restore health. These are exceptionally handy for Aislings who like to hunt without a priest to save them from certain death when adventuring. Personaca deum is also called Brown Potion because where would we be without a little confusion. This concoction is an antidote for poisons, which again is extremely helpful for all those brave souls that like to adventure without a priest. Raw Wax is dropped by bees and wasps in Wastelands and the Enchanted Garden. This will be used to make Ancusa Ceir or Speckled Wax. Ancusa ceir or Speckled Wax is a belt with fire defense. This item is also required for the quest "Flame Licked". Now that you have an idea of what you can make, it's time to get out there and start crafting! Most of the potions can be made easily within the Enchanted Garden. So gather up your wine, put on that fancy new glove of yours, and head on over to East Woodlands. 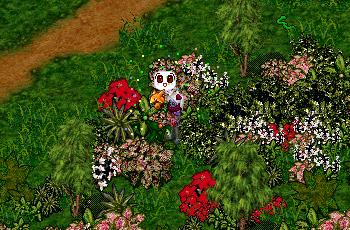 The easiest plant to locate is Hydele. The large red blossoms stand out very well in the leafy green terrain. Step onto the plant when you are ready and you will recieve a popup message. 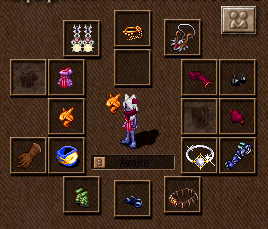 Depending on your situation, you can choose to prepare the potion alone or with an assistant. As this message says, your success chance increases with an assistant, as does the number of potions yielded. When you have made your decision go ahead and mix it up! Ta-da! Often times you are able to prepare potions from the same plant more than once, so try stepping back into it to try again. If the plant no longer has anything to offer, move on to the next one! The crisp white flowers of the Betony are also easy to spot in the Enchanted Garden. When you are ready, step on to the plant and mix away! The Personaca plant can be a bit more difficult to locate as it tends to grow best in dense areas. I've had the most luck in the eastern corners of the Enchanted Garden. The Fifleaf plant is one of the most difficult to locate as it can be impossible to see. However it is known to grow rapidly outside the bank in Mileth, replenishing itself every day. 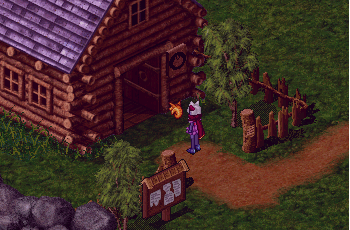 That said, there are some doorways in Suomi village that are also condusive to it's growth. The Ancusa plants grow alongside creeks in many villages. The long, spikey leaves stand out amongst the rocks, making it relatively easy to spot. Many of the riverbanks in Mileth grow this plant upon their rocks. Lastly, we come to find the Hemloch plant. This poisonous shrub grows in the areas around Undine and Suomi. Please do use caution when mixing this dangerous potion. Thus concludes the bee-ginner's guide to the craft of herbalism. As you concoct your deums and speckle your waxes you will recieve a legend mark to display your skill. This will increase the more you craft, so stay busy! Herbalism will require labour, meaning you will only be able to do so much in a day, but if you're a smooth talker you can probably convince your friends to help you out a bit. 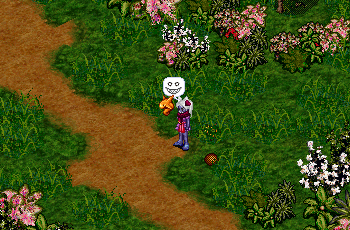 Take care, good luck, and happy herbalisming, my lovelies!